Science is much more than a body of knowledge. It is a way of thinking. This is central to its success.”–Carl Sagan. This quote applies to Ramon for a few reasons, the first is that this is exactly the type of mind that he brings to the table here at Attollo. Ramon is able to apply data and facts to every conversation and provides concrete evidence behind our ideas and findings. 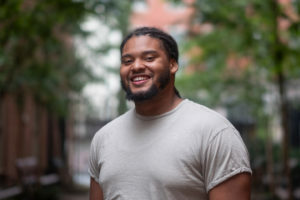 Science isn’t the only thing that defines Ramon, however, in addition to a major in astrophysics, Ramon received a minor in Chinese from Franklin and Marshall college and was able to study abroad in both China and India. Although he is from Brooklyn, Ramon’s family hails from Trinidad and Tobago. It’s pretty obvious Ramon is going to do great things as he seems to have a knack for being a pioneer, he even conducted independent research building Autonomous vehicles.